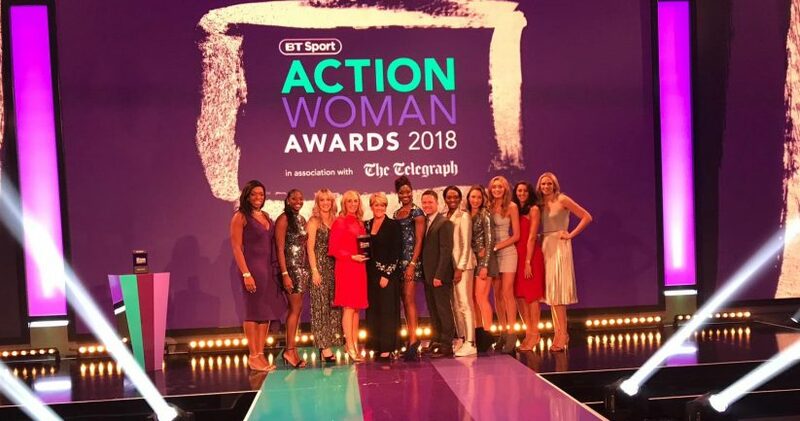 Following an already incredible year for England’s senior netball squad, the Vitality Roses were today (03.12.18) named the Team of the Year at the BT Sport Action Woman Awards. The team’s nomination for this prestigious award came as no surprise after they wrote their names into the nation’s sporting history in April, as they secured a last-second win against home favourites Australia at the Commonwealth Games. Following England’s dramatic win at the Gold Coast, the team jumped to second in the International Netball Federation’s world rankings – their highest position to date. Since then, the Vitality Roses’ success has continued as they went on to win the Vitality Netball International Series against Uganda and were named Team of the Year at the Sunday Times Sports Women of the Year Awards. 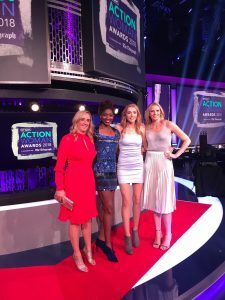 The Roses attended the glamorous black tie event at the BT Studios in London, amongst many other sporting stars and were up against Chelsea FC Women and the GB Athletics 4x100m relay team for the award. 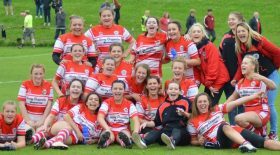 It has been another outstanding year for women’s sporting achievements across the board, from the Roses’ history-making exploits, to the FA Women’s Super League launching a new full-time fully professional structure, and Great Britain running to victory in the women’s 4x100m relay final in the European Championships in Berlin. The England team will come together once again as a squad in January in the Vitality Netball International Series, as part of the Netball Quad Series, which will be the last time they compete together before the Vitality Netball World Cup in July 2019.